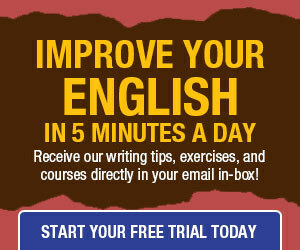 A phrasal adjective is a set of two or more words that, as a unit, modifies a noun. Phrasal adjectives are often hyphenated to signal the combination of two words to describe the noun that follows, but occasionally a phrase is familiar enough that it does not warrant a hyphen, or it is treated as a closed compound. 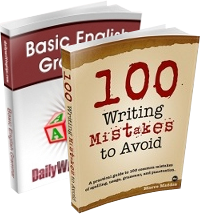 Choose the version of each sentence that treats the adjective or phrasal adjective correctly. a) This garment is made of high quality material. b) This garment is made of high-quality material. a) The family owned the first self service laundry in the state. b) The family owned the first self-service laundry in the state. a) She was delighted to see that the patent leather shoes were still on sale. b) She was delighted to see that the patent-leather shoes were still on sale. a) He didn’t want to be a type-cast actor. b) He didn’t want to be a typecast actor. a) Jones was a one of a kind performer. b) Jones was a one-of-a-kind performer. High and quality combine to describe the material, so they should be hyphenated. Phrasal adjectives in which the first word is self are nearly always hyphenated, as are compound nouns beginning with self, such as self-reflection. Some set phrases, such as “patent leather,” are unambiguous because of familiarity and need not be hyphenated; these open compounds are listed in dictionaries. Typecast is one of many compound adjectives that are closed; such permanent compounds appear in dictionaries as such. The words in the phrase “one of a kind” should be linked with hyphens to indicate that they combine to describe the kind of performer Jones was. See “selfishness” (noun), “selfsame” (adj. ), “selfless” (adj. ), and “selflessly” (adv.) . Do we have any “selfrespect” or “selfworth”? I guess not, because these two are not words, as you pointed out. Lots of people are lacking in “selfcontrol”, too.